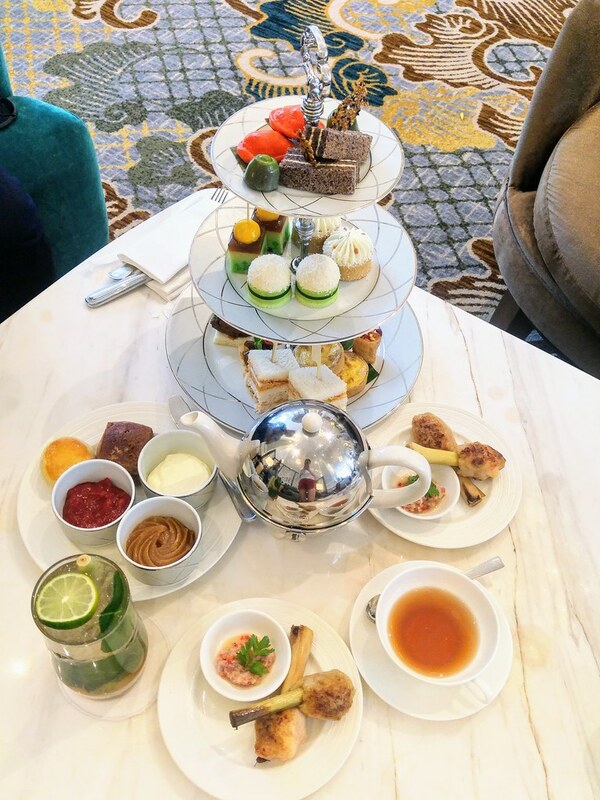 Our National Day may have passed but over at The Lobby Lounge at Intercontinental Hotel Singapore celebration continues with its Classic Afternoon Tea: Straits Heritage. 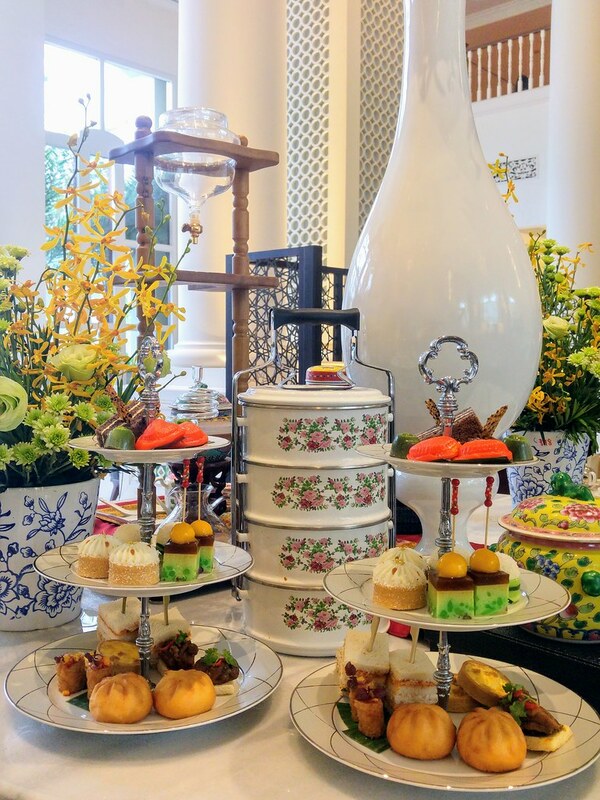 Commemorating Singapore's 52 years of Independence, Pastry Chef Ben Goh crafted a three-tiered showcase of iconic Afternoon Tea delights inspired by Straits-Chinese cuisine. 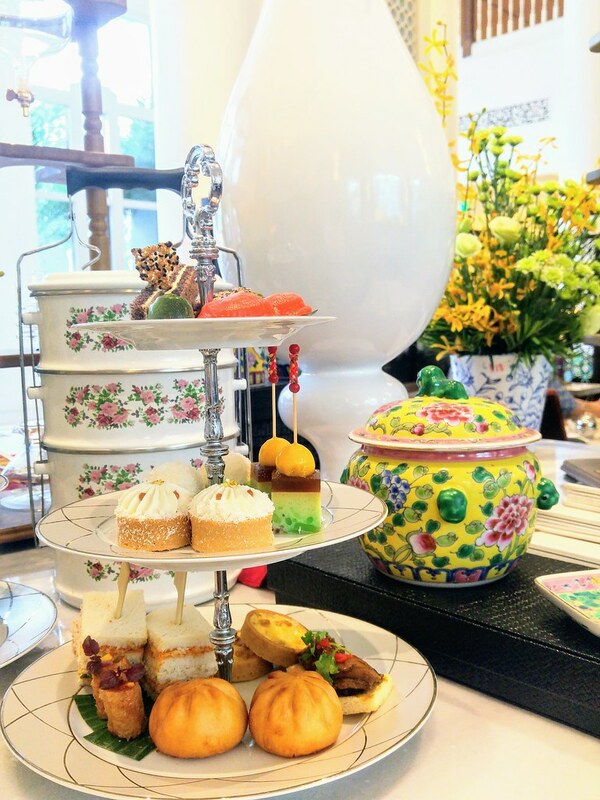 Alongside with the Peranakan inspired tea delights, there is a fine selection of teas and coffee. I opted for Pu-erh Tea, together with a Blue Ginger cocktail which is exclusive to this occasion only. Concocted with galangal, gula melaka and kaffir lime, I find it really refreshing. 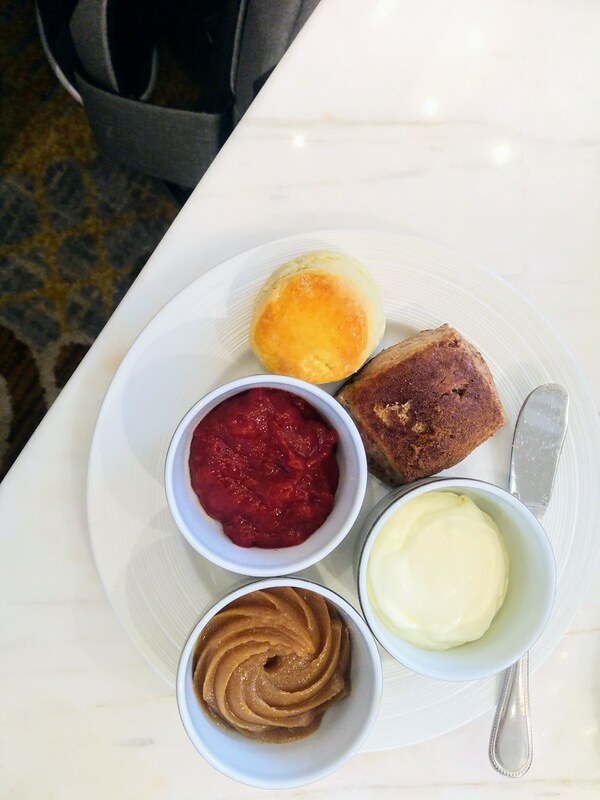 While waiting for our three-tired set, we were first served with warm scones, a choice of Lemon and Milo, along with gula melaka jam, clotted cream and strawberry jam. The scones were really yummy with the homemade jams. The 'kaya' may be a little too sweet for me but the strawberry jam has captured the sweet and tart of the fruit in a good balance. Our three-tiered set came with tantalising savouries at the base and pretty desserts embellishing the top. 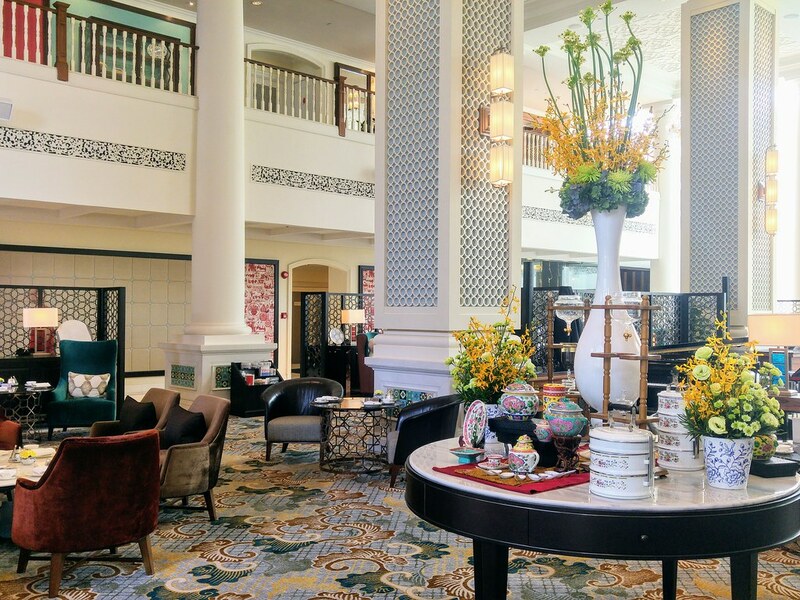 Take a closer look and you will notice that the colours of the Peranakan porcelains and ceramics that adorns the Lobby Lounge for the time being are translated to the tea delights as well! For savouries we have modern renditions of Peranakan dishes including popular ones such as Ayam Buak Keluak Crostini, Kurobuta Pork Ngo Hiang, Satay Lilit and Otak Quiche. My favourite is the otak quiche for its execution and taste. For finger sandwich, we have here a Chilli Crab version that is equally finger licking good. The Kurobuta Pork Ngo Hiang was a little letdown as I thought the fineness of the meat is lost. The desserts are the highlight. What captivated me first was the mini Ang Ku Kueh. It is so cute, almost resembling a miniature. Ondeh Ondeh Cake comes with a soft, bouncy texture with a much anticipated molten core. The Banana Genoa Tart surprised me with its caramelised banana filling which is slightly sticky. It has a sweet burnt taste that harmonised with the coconut cream atop. The Chendol Agar Jelly is like a compressed solidified form of chendol with red beans sitting at the bottom to complete the experience. 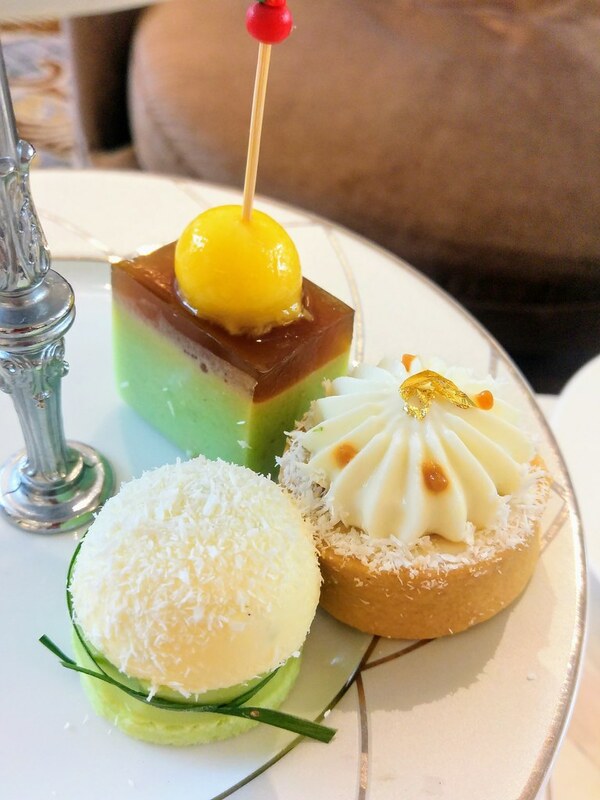 While most Afternoon Tea sets tend to be more towards the sweeter side, this Classic Afternoon Tea: Straits Heritage has quite a good balance of sweet and savoury. It will be available at The Lobby Lounge from 7 August to 19 November 2017, 2pm to 5pm daily. 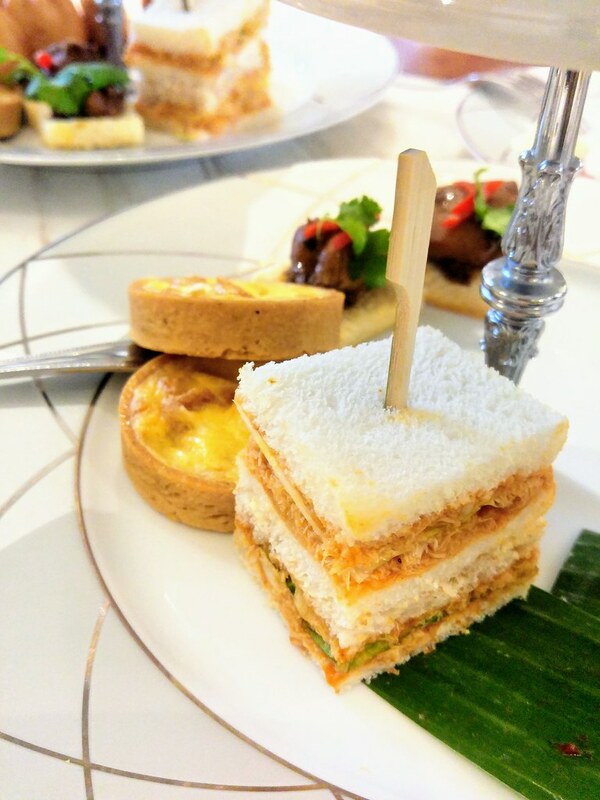 The three-tiered set is priced at $78 for two persons, inclusive of a fine selection of loose-leaf teas and coffee; and at S$108 for two persons, inclusive of two flutes of Perrier-Jouët Grand Brut Champagne or Blue Ginger cocktail.